Sharon B. Spears, 71, of Jonesborough, passed away at home, Saturday, January 5, 2019, at her home following a lengthy illness. She was born in Kingsport, TN and had resided most of her life in Hubert, NC. 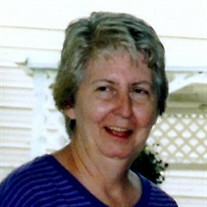 Sharon had worked as an MRI Technician at Onslow Memorial Hospital in Jacksonville, NC for over 20 years. She enjoyed camping and spending time with her family. She was preceded in death by her husband of 34 years, Gary Spears; and parents, Roy and Mae Burke. Sharon is survived by her son, Eric Spears and wife Jessica of Joneborough; grandson, Corey Spears of Jonesborough; brother, Sam Burke and wife Brenda of Columbus, GA; and two nieces. According to Sharon's wishes, there will be no formal service. In lieu of flowers, memorial contributions may be made to The Brain Aneurysm Foundation, 269 Hanover St, Building 3, Hanover, MA 02339.